Free Standard Shipping - on all domestic orders! We accept education and health care industry purchase orders. 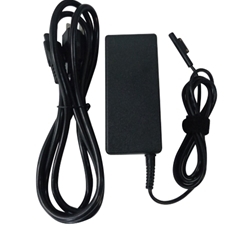 Description: New 65 watt high quality aftermarket ac adapter charger & power cord for Microsoft Surface tablet computers. © CDSparts.com 2016. All Rights Reserved. Could not send. Please try again. We will contact you shortly. Thank You!